I have not written as many posts lately because I have to spend time with my mom who was here for a vacation. 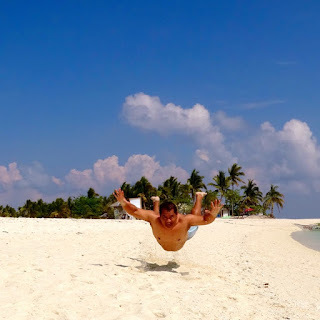 One of the most memorable places that we visited this summer is Kalanggaman Island in Leyte. We visited the famous sandbar off the coast of Palompon, Leyte last week and we really love the place. A summer getaway will never be perfect without some delicious food and we got loads of it thanks to our hosts. 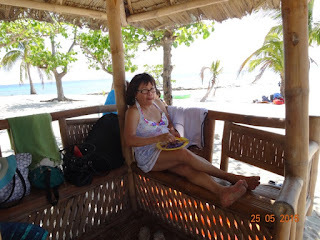 I went to Kalanggaman Island with my mom and a couple of her friends. 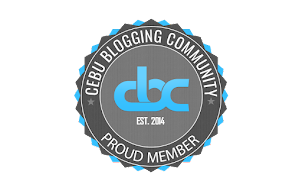 Kalami Cebu food scout +Nezte Virtudazo was also able to tag along in our Leyte adventure. Our hosts were the Lequins of Palompon led by Mrs. Marivic Lequin and her daughter +Francine Camille Lequin . We arrived almost 11 a.m. and it gave me some time to frolic around the island and take some awesome shots. Kalanggaman boasts of fine sand and clear waters. My mom even dubbed it as paradise. We brought our own food and the island has a sugba area where you can grill fish and meat. We had some freshly grilled Anduhaw (island mackerel). 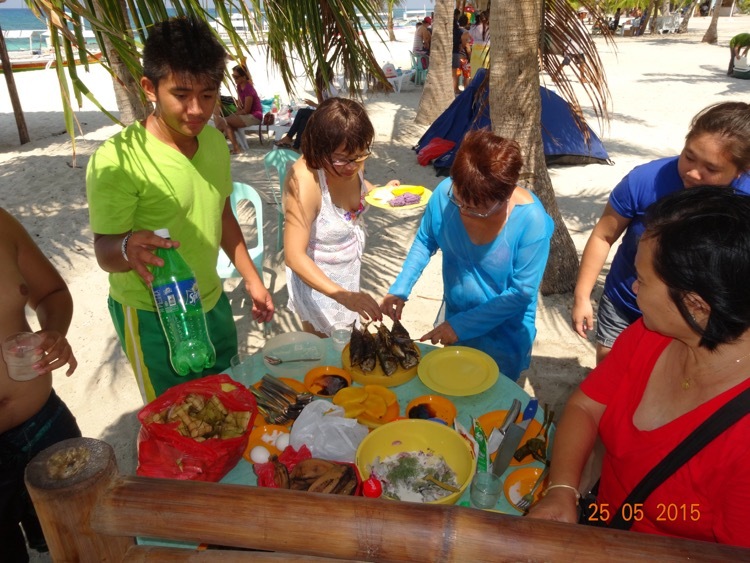 The fish was bought in Palompon market just a couple of hours before going to Kalanggaman. 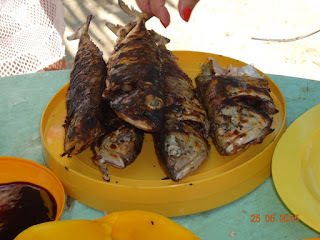 I always love freshly grilled fish when going out to the beach. Grilled food goes so well with poso or hanging rice. Pork hot off the grill is an instant hit for beachgoers. No leftovers are going to be expected when you have grilled pork. Sinugbang Baboy with a sawsawan made of vinegar, soy sauce, and chili peppers can turn anyone into a voracious carnivore. Mrs. Lequin prepared a special kinilaw (ceviche) made of flying fish, lukot (sea hare eggs), coconut milk, onion, ginger, and vinegar. The kinilaw was my favorite food that day. 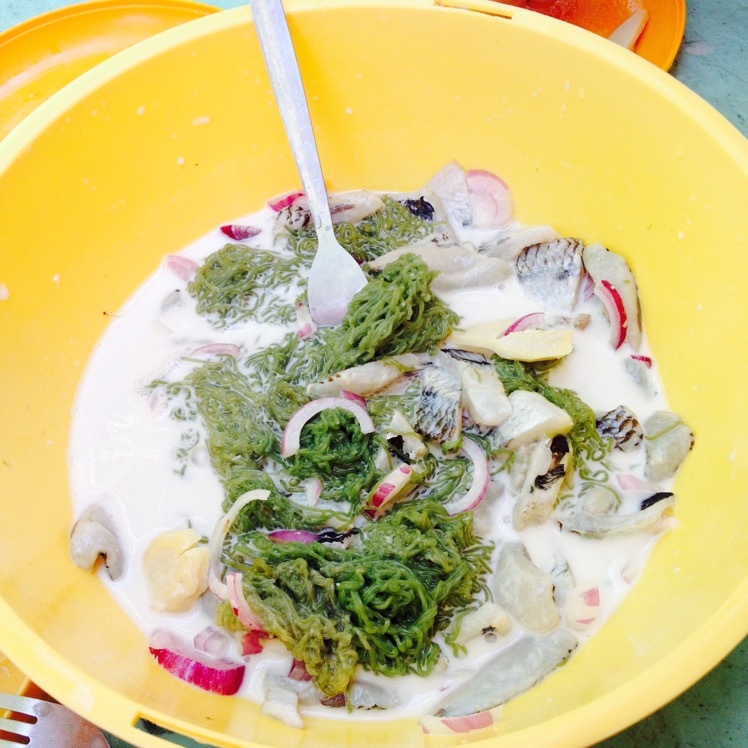 I have always been a big fan of the noodle-like lukot and I also love it in my fish soup. 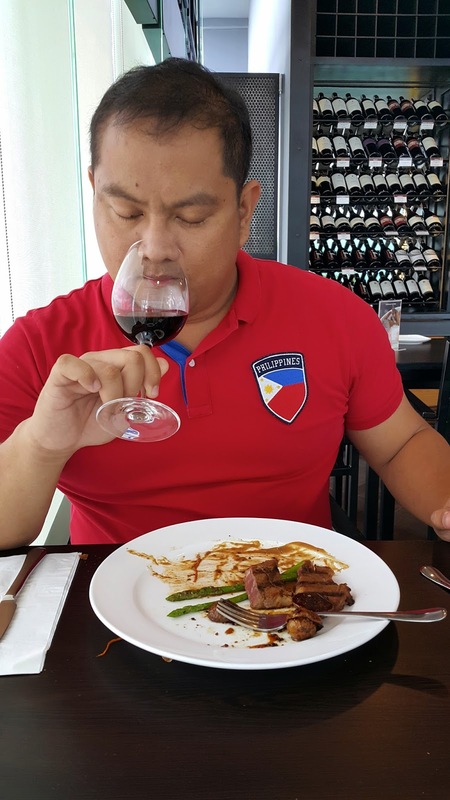 The kinilaw was well balanced, just the way I like it. 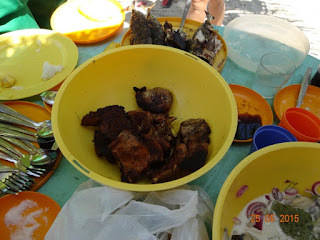 My mom really enjoyed her lunch as she ate lots of boiled kamote (sweet potatoes) and boiled bananas along with the fish. 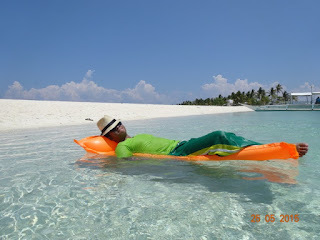 It was such a great meal that some of us ended up in the beach relaxing and lying on the inflatable brought by Nezte. 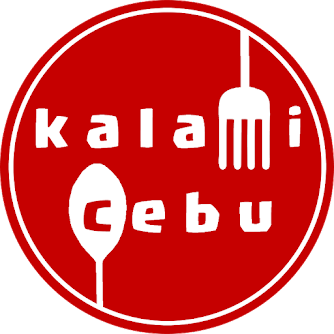 Kalamanggaman Island has now a special place in my heart and my tummy. 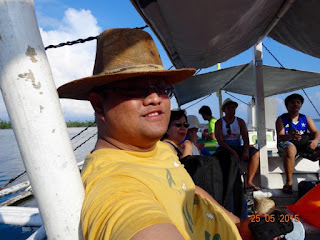 My experience there is one of the best memories for Summer 2015. I am looking forward to going back there soon. Where have you been this summer? Comment and share it with us.